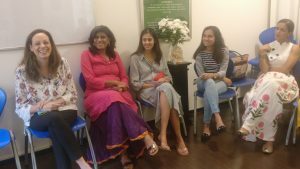 Bringing love, laughter and meaning to being women! 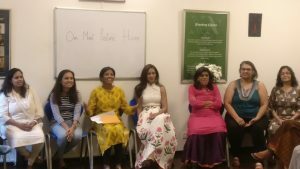 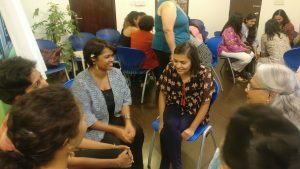 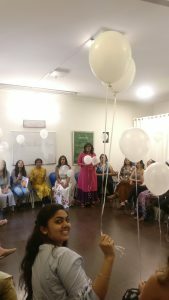 On the occasion of the International Women’s Day, members and friends of New Acropolis Bangalore gathered to celebrate the spirit of womanhood through a special two month long “Project Demeter”. 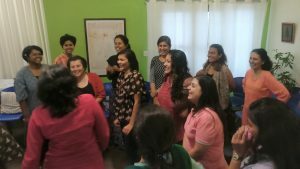 To Research and discover the expressions of Health, Music and Humor in a woman’s life. 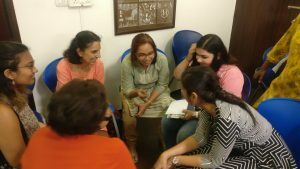 The project culminated with a morning of learning and feminine bonding to build a nurturing net of ‘Saheliyan’.. to strengthen friendship, self-discovery and women leadership.